Posted by Lawrence Public Library Staff February 8, 2018 at 11:40 p.m. The only downside to my rom-com reading habit is that I would also like to watch many of these stories, and unfortunately, Hollywood no longer seems particularly interested in making these kinds of movies. Recently, though, fellow Book Squad member Kimberly sent me the trailer for "Love, Simon," an adaptation of Becky Albertalli’s YA romantic comedy "Simon vs. the Homo Sapiens Agenda." I cried watching the trailer, and I cried listening to the audiobook (it’s a comedy, I swear! ), and then I almost cried again when I realized the movie won’t be released until March. With nearly six weeks of time to kill before I can cry while actually watching "Love, Simon" (different trailer, equally worth watching), I decided to round up a few other rom-com reads I think would make amazing big-screen love stories. 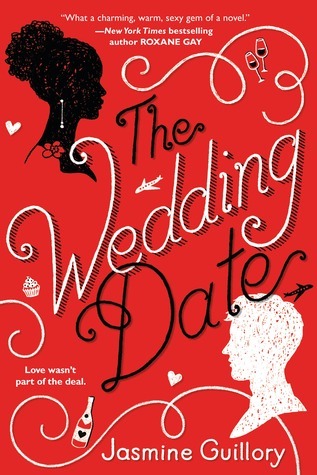 The Book: Jasmine Guillory’s "The Wedding Date," an extremely charming new release about Alexa and Drew, who meet when she agrees to be his on-the-fly date to his ex-girlfriend’s wedding ... and then the pair can’t seem to shake each other, despite living at opposite ends of California and not being interested in a long-term commitment. Why It Would Make a Good Movie: It’s about grown-ups who really like each other trying to fit into each other’s lives while also maintaining their own separate existences, and frankly I think we need more romances like that in the world. Also, it actually made me laugh out loud multiple times when I was reading it — always a promising sign for a potential romantic comedy. My Fancast: In the book, Alexa is described as being a short, curvy African-American woman, while Drew is a tall, lean white guy, and I read both as being somewhere between late-20s and mid-30s. What about Danielle Brooks for Alexa and Matthew Goode for Drew? I would watch them fall in love and eat donuts (an extremely important recurring plot point) every single day and twice a day on Sundays. 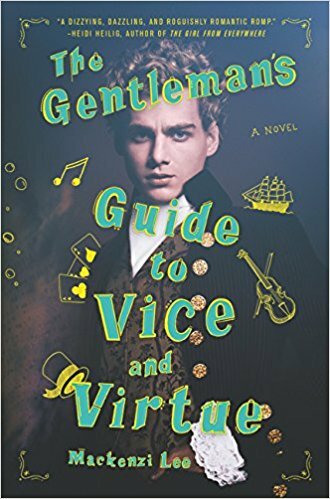 The Book: Mackenzi Lee’s "The Gentleman’s Guide to Vice and Virtue," an ever-so-slightly magical queer historical YA novel about upper-class teenager Monty, his biracial best friend (and secret beloved) Percy and his younger sister Felicity fleeing murderous noblemen across 18th-century Europe ... all while Monty tries to hide his feelings from Percy, who he’s convinced doesn’t love him back. My Fancast: Look, I don’t know if the cover model can act, but if he can, that’s our Monty — problem solved. If he can’t, Tom Glynn-Carney has the accent and the cheekbones to pull off the role, and Justice Smith has Percy’s sweet, shy smile down pat. I think Millie Bobby Brown could nail Felicity’s serious demeanor, and she actually looks like she could be Tom Glynn-Carney’s sister (I hate when actors playing siblings would never pass for related). The Book: Katie Heaney and Arianna Rebolini’s "Public Relations," a completely wonderful workplace romance about fading pop star Archie Fox and his public relations representative, Rose Reed, who sets out to revitalize Archie’s career by engineering a relationship for him with up-and-coming hipster musician Raya ... which actually works great, career-wise, except that Rose falls for Archie herself. My Fancast: This was the easiest movie to cast by far. I think Katie Stevens of "The Bold Type" would make an awesome Rose, and I was already imagining Zoe Kravitz as Raya when I was reading the book. As for Archie — well. 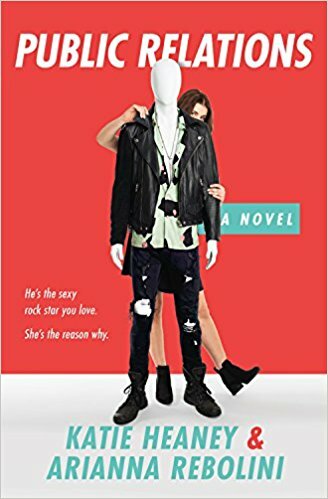 The authors flatly acknowledge he’s heavily based on Harry Styles, and try as I might, I couldn’t think of anyone else who could be the Archie that lives on the page and in my brain. And he’s known to be a fan of rom-coms. Someone get him this script, stat! - Meredith Wiggins is a readers’ services assistant at the Lawrence Public Library.